Apple-Peeler Fruit Peeler(Apple,Potatoes,Pears etc.) Buy Online Apple Peeler in Karachi, Lahore, Islamabad All Across Pakistan with Our Best Price Buy Online with Free Cash On delivery | Clicknget Product #: 514 4.4 stars, based on 89 reviews Regular price: Rs 1499 Rs1499 (Sale ends 5 May! ) Available from: Laptab Condition: New In stock! Order now! Easy to use: turn the screw to start peeling. 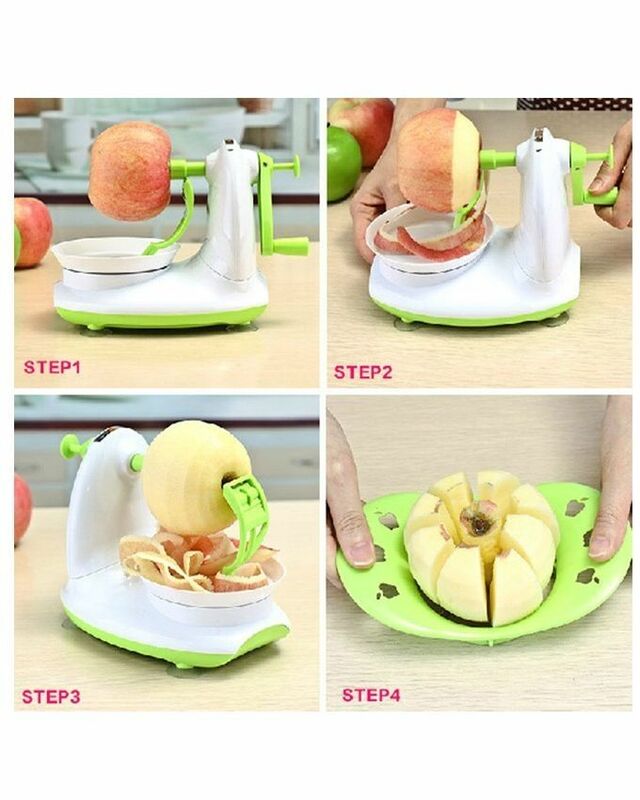 All blades are adjustable and within seconds you can either just core and slice the apple (leaving the peel on).